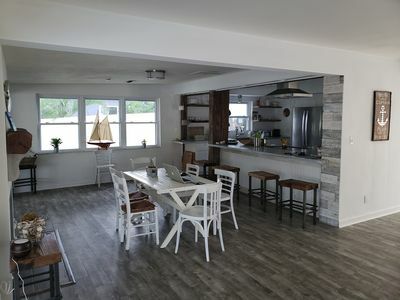 An absolutely incredible waterfront paradise awaits you at this newly updated and renovated 3Br/2BA Tommy Bahama style home for your next get-a-way! 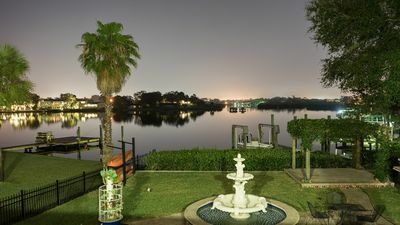 Across from Sunset Beach our waterfront oasis lies directly on the pristine waters of Blind Pass which has deep water boating access to the Gulf of Mexico in less than 5 minutes. 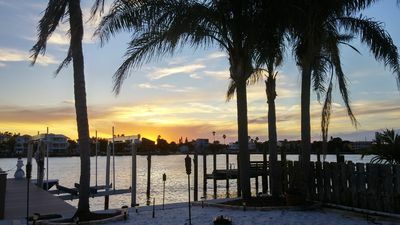 Enjoy stunning award winning sunsets right from the pool, patio or dock. 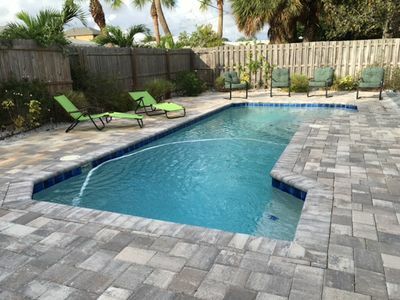 Casa Nautica has been tastefully decorated with tropical and Tommy Bahama themes to give you that authentic feel of Florida waterfront living at its best. 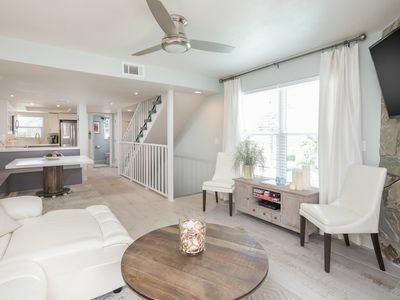 Nothing has been left out of Casa Nautica so your visit to St Pete Beach can include all the comforts of home you love so much. 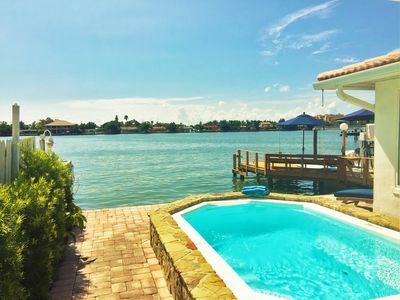 Casa Nautica also includes a huge new 50' state-of-the-art boat dock including boat slips and two boat lifts if you desire to bring (or rent) your boat or jet-ski's. Come from land or come from water – Casa Nautica awaits your visit to paradise! Inside, Casa Nautica features a warm wide-open floor plan that flows straight to the incredible waterfront views as you open the front door. 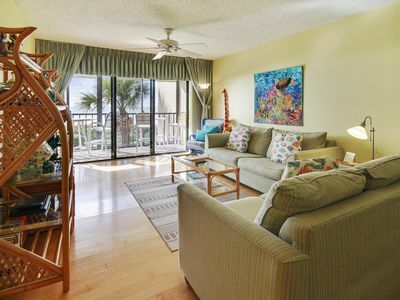 The open great room features wide open Florida beach style living overlooking the pristine waters of Blind Pass. 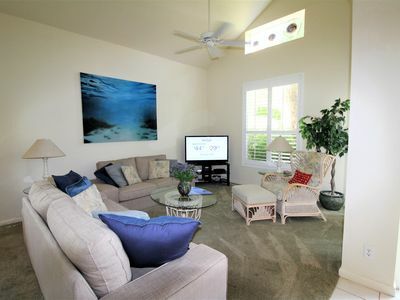 The living and entertainment area includes a double recliner and matching love seats to making entertaining a breeze. 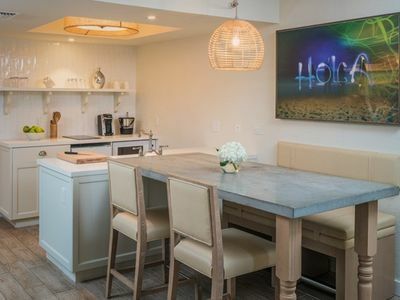 Moving to the kitchen and dining area you will once again encounter that open and spacious feeling a vacation rental should have. 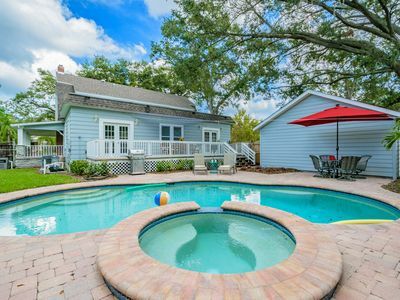 With seating for 10 - the entire family can all sit together for an enjoyable and relaxing dinner – all while overlooking the water and watching the dolphins play in your backyard! The bedrooms continue with our tropical and Tommy Bahama decor. The Master Suite includes a huge king size bed and incredible views from your windows to paradise. Inside the Master Suite you will have your private bathroom with double sinks, walk-in shower and two large closets. The guest bedrooms all have queen size beds and plenty of closet space for all your goodies. The large jack n' jill guest bathroom (connects to both guest bedroooms) includes double sinks, toilet and a spacious tub/shower combo. 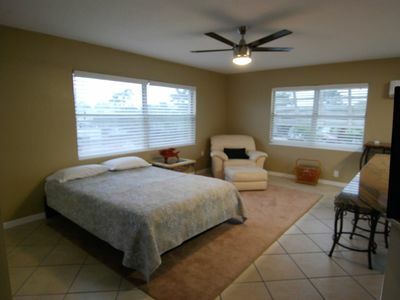 Also included is a convenient 1/2 bath in the main hallway for guest that you might have staying with you! A laundry area with a full size washer and dryer is directly behind the kitchen in case you need to do any vacation laundry. Also included are two kayaks so you can paddle down Blind Pass - voted one of area best kayak and paddleboard waterways in Florida! Two bikes are also available if you want to stroll up and down our bike-friendly beaches. 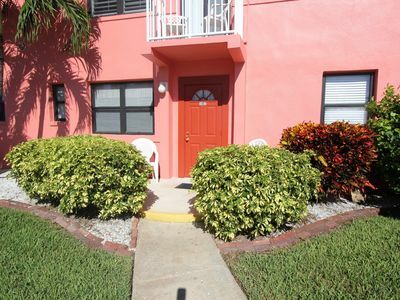 Casa Nautica is just 40 minutes to / from Tampa International Airport and 20 minutes from St Petersburg airport. 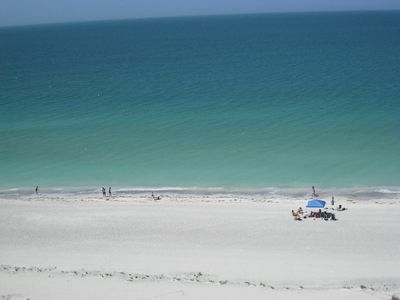 Within minutes or a few hours from Casa Nautica, you can visit Disney World, Sea World, Busch Gardens, Clearwater Marine Aquarium (starring Winter the Dolphin), John's Pass for shopping-fishing charters-water sports, wine tasting and plenty of souvenir shopping outlets for all your family and friends. 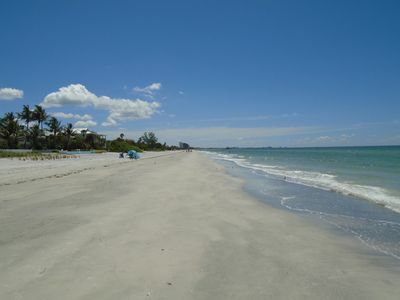 How about shelling right here on Sunset or St Pete Beach. Travel to downtown Saint Petersburg for our seasonal Saturday Morning Market, Dali and Chihuly Art museums or maybe watch a Tampa Bay Rays game at Tropicana Field. 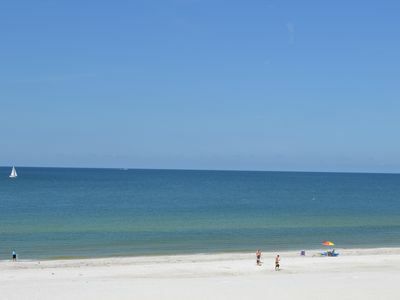 Just a few miles east of St Petersburg, is the bustling city of Tampa - home of Busch Gardens theme park. 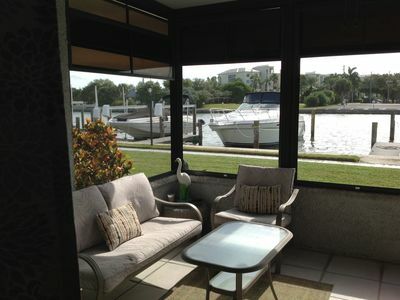 Of course, nothing is better than just sitting back and relaxing in this waterfront paradise. Come see for yourself - you won't be disappointed!! Casa Nautica welcomes you and looks forward to your visit!! 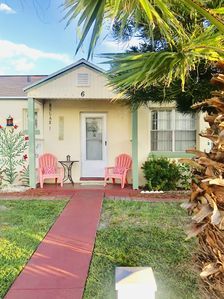 Quaint and Cozy Cottage in Madeira Beach! 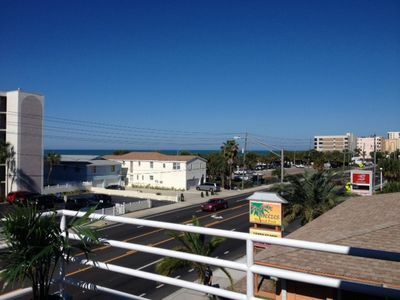 Great condo on the Gulf of Mexico 2 min walk to the beach, excellent amenities. 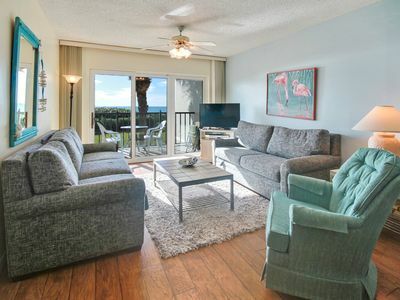 Deluxe, Bright, Spacious | Getaway on the Beach!